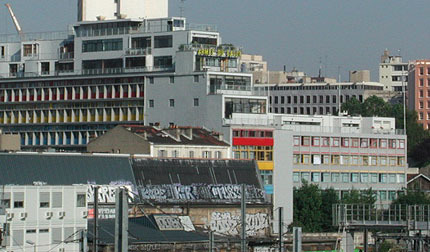 The Salvation Army Refuge in Paris was Le Corbusier's first opportunity to create accommodation for the urban poor, under the philanthropy of the Princesse to Polignac, an heiress of the Singer Sewing Machines fortune. The compact site provided the chance for a radical approach both to bringing in light and space and to laying out the entrance halls to accommodate the Salvation Army's reception process. 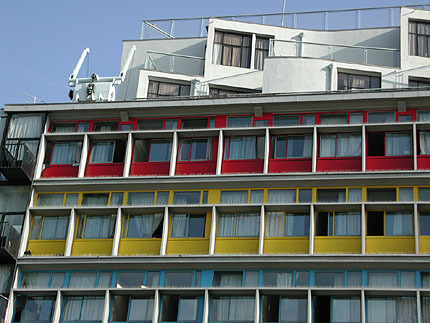 The core of Le Corbusier's design was the dormitory slab with a sheer glass curtain wall. Critical to the success of this south-facing glass wall was to have been a technologically ambitious system of double glazing and air conditioning ('respiration exacte'). These were never built as intended, and the sheer skin of the wall was lost to Le Corbusier's trademark brises soleils later on in an attempt to prevent the inhabitants from overheating. The Refuge is in use but can be seen from the outside. Take the RER to Bibliothèque François Mitterand, and choose the Rue du Chevalaret exit. Walk south along Rue du Chevalaret, and at the first junction turn backwards right up rue Cantagruel. The Refuge is a few meters up on your right. 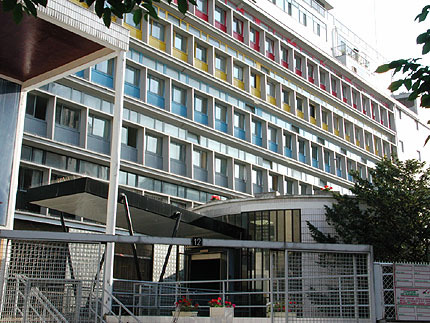 While in the neighborhood, you may want to visit the Bibliothèque François Mitterand.